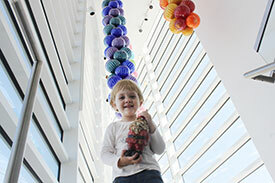 The Museum of Wisconsin Art (MOWA) explores the art and culture of Wisconsin. 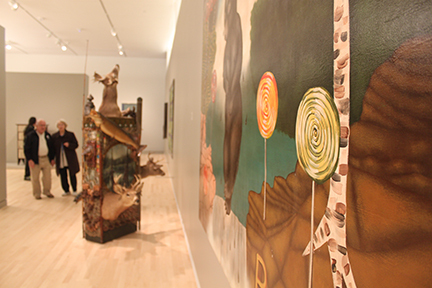 Founded in 1961, MOWA is one of the top museums of regional art in the United States, with over 5,000 works of contemporary and historic art by more than 350 artists. Through rotating exhibitions and educational programs, MOWA provides an innovative forum for the culturally engaged. 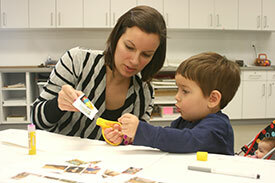 In 2013, MOWA opened its new 32,000-square-foot facility in downtown West Bend. 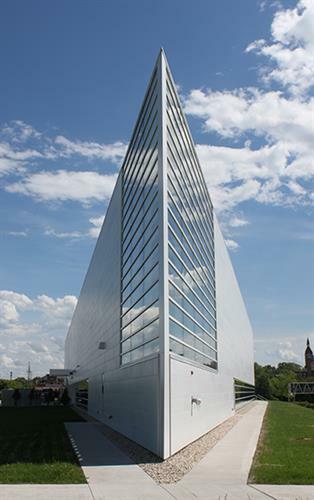 The building, the first museum commission by acclaimed architect Jim Shields of HGA, is situated along the east bank of the Milwaukee River on a triangular plot of land that inspired the facility’s modern wedge shape. An expansive wall of windows follows the curve of the river bank and minimizes the boundaries between interior and exterior. The museum houses five permanent collection galleries, three temporary exhibition spaces, and two classrooms as well as visible art storage, a shop, and a large atrium for public events. Museum of Wisconsin Art celebrates the value, diversity and uniqueness of the visual arts and artists of Wisconsin. This is achieved by collecting, conserving, documenting, exhibiting and promoting aesthetic understanding of the visual arts of Wisconsin. 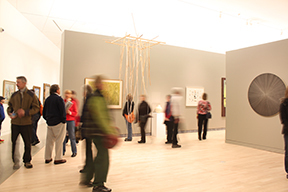 MOWA is the pre-eminent resource for the visual arts of Wisconsin, acting as a catalyst for creativity, expression, inspiration and discovery.